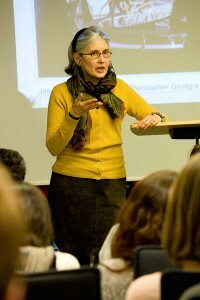 Lorraine Daston is Director at the Max Planck Institute for the History of Science, Berlin and Visiting Professor in the Committee on Social Thought at the University of Chicago. Her expertise lies within the history and philosophy of science. On 28th February 2013, Prof. Daston came to ECLA of Bard to give a lecture on “Observation, Time, and Scientific Experience in Early Modern Europe”. Attending Lorraine Daston’s lecture was extremely enlightening, as she has a great command of this subject and her lecture prompted an altogether fresh understanding of scientific development during the 16th and 17th centuries. Throughout her talk, Daston had a firm disposition and was beaming with clarity of purpose. She started her lecture by talking about the reasons which led her to initiate her research into the history of observation in early modern Europe. According to Daston, many scholars have investigated the history of the scientific revolution, but her research pays particular attention to the methods and procedures developed for scientific logic during the 16th and 17th centuries. Daston explained to the audience how observation started out in the households of illiterate peasants or on ships at sea and then evolved to become a learned experience and a part of university curriculum. It was rather surprising to hear this, since, as a modern audience, our relation to science is entirely based on empirical evidence. But, as Daston pointed out, empirical knowledge was considered merely conjectural knowledge at the time, due to the lack of sophisticated methods of inquiry. Beginning with the 16th century, a gradual shift took place in the status of science, from mere superstition to an authentic explanation of the world around. This shift occurred as an outcome of two phenomena: first, the increasing number of voyages to other territories became an incentive to develop navigation and travelling skills; second, there was a growing desire among scholars to establish the principles of the world with a degree of certainty. In order to better illustrate her claims, Daston shared with us two very interesting observational methods. The first method was applied in weather observation. The 17th century natural philosopher Robert Boyle devised weather questionnaires, took detailed notes of all the changes in weather and would often send out travelers to get information for him. Methods like these facilitated data collection from various sources and gradually, through amassing all this data, scientists started to draw conclusions about weather. The second method involved sketching and drawing – a modern equivalent of it would be a video recording of an organism during its growth. Similarly, this method allowed observation of the evolution of a plant, which enabled scientists to fully grasp the nature of the plant and its growth mechanism. One interesting and important fact about these 16th century laboratories was the role played by household servants. The scientists often employed servants in order to carry out various experiments, something analogous to the tasks of modern-day postgraduate students. Daston finished her lecture by outlining the financial difficulties scientists faced in the early modern period. 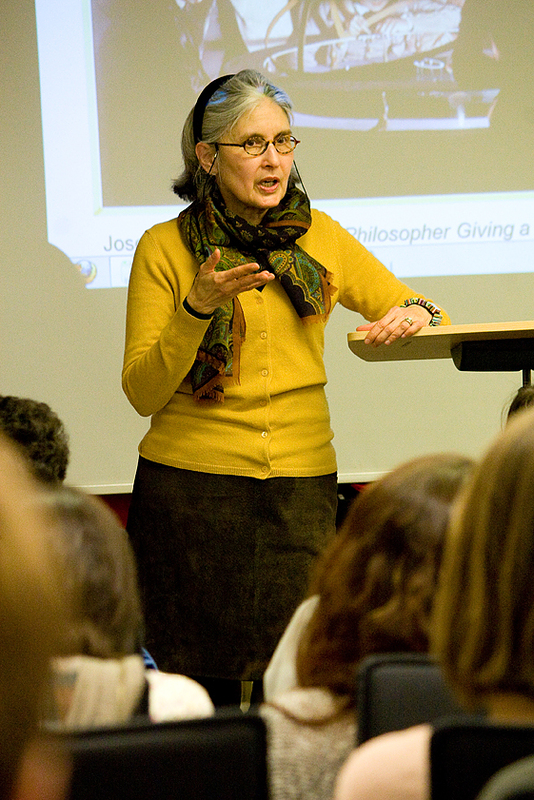 She then answered several questions from the audience, giving us further details about the historical and philosophical context of the development of scientific knowledge. As a female student watching a venerable and established academic woman, I was greatly motivated by this lecture and I aspire to be someone like Lorraine Daston one day.